The NRN is part of the implementation architecture for RDPs across the EU, and its primary aims are to increase stakeholder involvement, improve quality of implementation, inform the public and potential beneficiaries, and foster innovation. 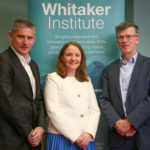 The Department of Agriculture has appointed a consortium led by Irish Rural Link, supported by NUI Galway, The Wheel, and Philip Farrelly & Co. to run Ireland’s NRN. The consortium is responsible for facilitating all stakeholders and interested groups in achieving better outcomes across all the measures under the Rural Development Programme 2014-2020 (RDP). Irish Rural Link is the national network representing rural communities in Ireland and represents the interests of community groups in disadvantaged and marginalised rural areas by highlighting problems, advocating appropriate policies and sharing experiences and examples of good practice.